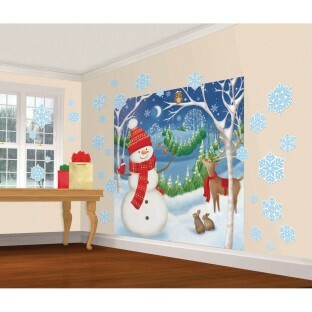 Turn any wall into a winter scene! Turn any wall into a winter scene featuring favorite North Pole pals. Includes two 65" x 32-1/2" plastic sheets and 30 paper cutouts (3", 6", 9" and 11").